CONTROLLING THE MINDS OF THE YOUTH is the prime agenda of all elitist political systems. Hitler’s Germany and Mussolini’s Italy have taught the world hard lessons not be forgotten regarding state mind control of the youth. In America today, the elite Wall Street Jewish bankers and their oligarchical allies have as their puppet, Barack Hussein Obama. ESSENTIALLY, Obama has a deep seated hatred for the white middle class. And of course, the Jews who own the ENTIRE press and mass media in America (and who work hand-in-glove with their Wall Street synagogue buddies) have spun the phrase, “moral majority” to mean something to be laughed at. THE AMORAL OBAMA is now after the minds of America’s children. (Full Screen Here.) On September 8, 2009, Obama will be speaking to children ages 6 thru 17 in America’s public schools via national broadcasting from Wakefield High School in Arlington Washington. Parents won’t be there - state controlled teachers, will. Obama’s speech, billed as: “President Obama’s National Address to America’s School Children,” will be a flowery, innocuous sentiment about the “importance of education.” Thus, Obama supporters will say the current backlash regarding the speech is much ado about nothing. But nothing could be further from the truth. The White House had to scratch a line from the required teaching materials instructing students to write letters to themselves about “what they can do to help the president.” But students must still answer such questions as, “What is the President telling me to do?” and, “What is the President inspiring me to do?” View Menu Of Classroom Activities Here. PRIOR TO OBAMA’S SPEECH, students are instructed to read books about Barack Obama. The first book, Barack Obama: Son Of Promise, Child Of Hope, portrays Obama on the front cover and in its text as a defiant young militant black. Why? To indoctrinate our youth against a white middle class status quo. A central feature of Obama’s masters is to keep the American people so fragmented so as to guarantee their elitist rule. The second book, Barack, portrays Obama on the front cover and in its text as a cross between a black, a white, and an Asian. Why? To indoctrinate our youth against a homogeneous Christian culture which would pose a monolithic front and threat to the elitist Jewish financiers and their war mongering allies - whose wars the Wall Street Jews fund. THE AGENDA BEHIND Obama’s speech is to bypass American parents and enlist their children into his vision of a world without independent thinking. Thus will begin the conscription of our nation’s youth into the beginnings of postmodern fascism in America. I have asked very moderately for some help in the recent past to keep RZN online and my Street Evangelism in the Streets. I AM GETTING VERY DISCOURAGED dear Real Zionst News Family. I am not trying to get rich on any one. I am just trying to keep the ministry of Real Zionist News online and on the streets. This Web Site COSTS much money: A Dedicated Server that I have to pay huge amounts of money for; a Web Manager; sophisticated anti-hacking software usage; Web Tracking Service; multiple domain names to protect myself against the ADL and wicked adversaries; Research materials in the $100s of dollars every month; News subscription services for constant global news updating; etc etc. Would you like to be able to read Real Zionist News for an enduring time? Then, please consider helping me out. Out of tens of thousands of hits every month, it is only a few that are carrying the burden. This is NOT fair to them. So please, consider helping me out and pulling me out of this continual discouragement. DO you think I like asking for money all the time? Before the ADL had Pay Pal BAN me last January, I never asked for money. It just came in automatically with an average of 8 to 9 Pay Pal Donors per week. But now, if I get one donation per week on “Click & Pledge,” I consider myself fortunate. This is a HUGE discouragement. 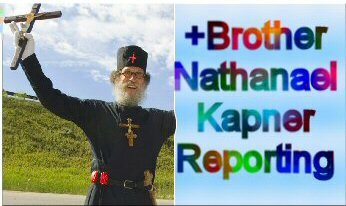 I am trying to make “Brother Nathanael” a household name through OUR site and my Street Evangelism here in the Ski/summer Resort Headquarters of the world in the Rocky Mts of Summit County CO where I live. AND in NYC’s Time Square and Wall Street. And in Boston, the college and university center of the world. Will you please consider helping me to make this a reality? I am an Orthodox Christian monk - I was in a monastery community for 8 years until in 2005, Christ led me out to be a Street Evangelist. I am not looking to get rich dear RZN family and RZN readers. I live a very ascetic and frugal life style. I fast the entire day and in the evening I have my only ONE MEAL of vegetables, beans, fruit and peanut butter. That’s it! I do not have a car, no stereo, no TV, no Tape recorders, no DVD players, not even a speaker. In other words, all of my resources are funneled into OUR site and the Street Evangelism. Please consider helping me, please… If not, I am going to have to make some tough decisions on what my priorities should be. Or, donations may safely be sent to: Brother Nathanael Kapner; PO Box 547; Priest River ID; 83856. I will be going to Boston next week for STREET EVANGELISM, September 8-12, 2009. 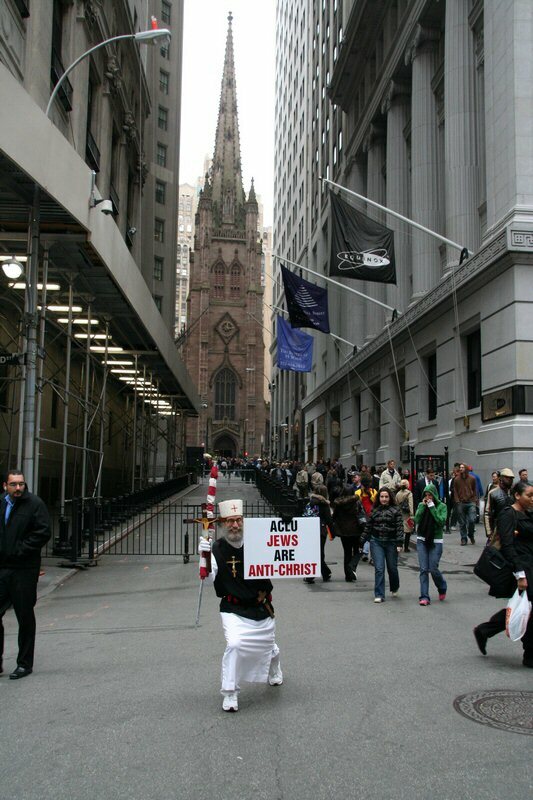 Then to NYC on Sept 22-28 2009 for STREET EVANGELISM. I still have yet to pay for the last NYC trip in which I gave DAILY REPORTS to show that I am not goofing off looking for a free ride. 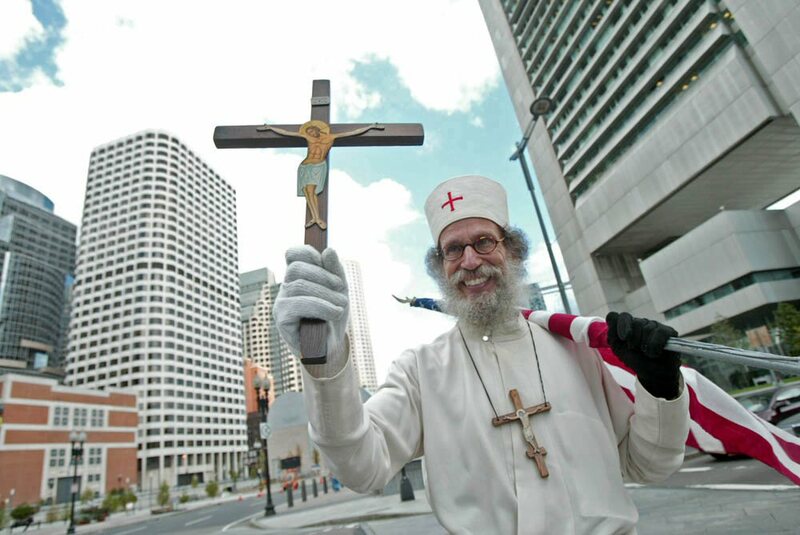 I could use lots of help to pay for it all and to keep the Street Evangelism going so that eventually, if I go regularly to Times Sq, Wall Street, and Boston/Harvard/BU - then “Brother Nathanael” can potentially become a household name. IT’S FOR THE LORD JESUS CHRIST, Whose symbols and message is BEING ANNHILATED by CHRIST-HATING JEWS! I am trying to COUNTER THESE WICKED PEOPLE. So please, (I am sorry that I have to keep on asking and asking when hardly anyone responds but a few), will you pray about and consider helping me for the CAUSE OF CHRIST in the PUBLIC SQUARE where HE is being forced out? Okay, enough. It is almost 12 AM and its time to eat and try to cool down a bit after researching, studying, picture hunting, and contemplating the meaning of Obama’s speech and his agenda, resulting in: “Obama’s Mind-Controlling Speech To America’s Youth. THIS WICKED MAN, BARACK HUSSEIN OBAMA, who just introduced “Ramadan Day” into the White House, (what the heck is this man doing to destroy our once Christian consciousness? ), MUST BE STOPPED! When I go to NYC in Times Sq and in Wall Street, the youth that Obama is trying to enlist into his service, MOB me. I get to share Christ with them. But if donations dwindle, I will have to stop. I do not get funding like the ADL gets with BILLIONS OF JEW dollars. I am trying to earn my keep, but I just get diminishing returns. I LOVE YOU ALL, I do, AND - I APPRECIATE YOU ALL, and I highly RESPECT YOU ALL, and PRAY FOR YOU ALL DAILY. Please pray for me that I can keep this ministry afloat. And also pray for Christ’s protection on my life and His guidance. I am putting my life on the line for Christ and His Holy Gospel. How’s about Barky writes a letter to himself entitled, “What I can do to help the American Public” and the number one item is, “Show them the birth certificate”. Barky, your sloppy half fast Jedi Mind Tricks don’t work on me…. There is not much time left. Foreign troop movement under NATO; the ones that have been here all the time, are underway. The Bio release is imminent. All will happen simultaneously with the fall of the Economy. This will be a real diversion that will take peoples Mind away from it, while at the same time getting the engineered virus active. The virus will be attenuated via the ELF towers for all vectors of transmission. These same towers will be used to cause aggravation amongst all people, leading to civil war, unrest, etc. That will be the pretext for Martial Law, and the deployment of NATO/UN troops. Russia still has the Nuclear class sub 150 miles of the East Coast. Moscow has issued troop deployment orders. Time is short. The first thing the Jews did when they took over Russia in 1917 was to put people on a list, just as the Jews do in America 2009. Do you know how they made the list in 1917? They took the telephone book. There they all were by name, occupation and address. ln the telephone book? Off you go with your whole family to the Jew-run Gulag. Agreed, our president, though born in Kenya, holds office in defiance of the Constitution of the United States. His very presence is a slap in the face of every patriot, and American citizen. His policies are “Antichrist”, degrading, defaming anything, and anyone choosing morality over immorality. His God is Babylonian, his agenda Talmudic. I must therefore acknowledge him as an impostor of good, a threat to freedom, and an enemy of Jesus Christ! AS stated in your article, our youth are being indoctrinated by propaganda, placing the ideals of the state, above those of their parents. 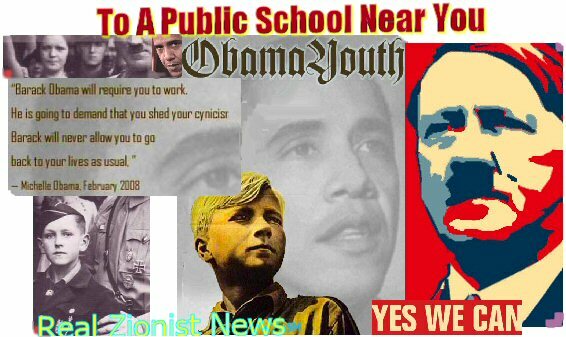 Their enlistment of servitude under Obama’s youth corps, stinks of “Hitler Youth”, incorporated now for the “Forth Reich”! Make no mistake about it parents. Our children are being enlisted as spies for our government, soon reporting “misdeeds”, or infractions of fascist laws by their fathers, and mothers, to the authorities. Christ’s words in the Holy Gospel are coming to pass that “sons will be against their fathers, and mothers”. The privacy of our homes are being invaded. Persecution is coming. But as for “me and my house, we will serve the Lord”! Just look at the way “Rahmbo” speaks and gesture and compare with how Obama talks and moves. l just love some of the Russian songs. As many probably know, the number of a bill is not assigned to it, but selected for it by some quasi-mystical process. Let us have a look at some of the mystical content here. 13 = Friday the 13th, when Templar Grand Master Jaques de Molay was burned at the stake by the Inquisition. ‘13′ is used by Templars to communicate their intent to get revenge. It is also the number of witches in a coven. 88 = HH = Heil Hitler. The Templar Splayed Cross in the form of the “Iron Cross” was a universal piece of the Nazi uniforms’ regalia. “Serve America Act” = [serve America as an item to be consumed] Act. They mock us who have eyes to see with this occult symbolism parading as normal content. I will be sendinig some cash to the snail mail address. THis site IS rather good. Very informative, and usually dead on target. That said, all should remember one thing clearly. Repeat that to yourselves as often as you need to. If this band of disparate, bellicose billionaires, (used to be multifarious multi-millionaires), NWO wannabees, priates, spys, schemers, banksters etc. were NOT evil; the wolrd would have been under some sort of dictatorial control long ago. That does NOT mean, though, that we can sit by idle, as their latest sly cunning and clever schemes are effectuated. Ever viligant, ever ready to sacrifice for the common cause we must be the hallmork for ALL concerned citizens, who do NOT want to live in some COmmunisit or Fascist Hell on Earth. We need to send in money and we need to pass this web-site on to all whom we know. I be liking Brother Nathaniel. I know him not personally, but I like what he writes. Without him, I’d be lost in a flood of evil flotsam, assailed by numerous nasty and egregious inhuman creatures, who are rapidly losing their ability to maintain their seemingly assumed human attributes. That’s it and I thank God Almighty in the Heavens Above, for the ability to read and comment on this web-site. St. Paul’s Apostolic teaching includes the reminder and exhortation that YOU are ‘called to a life of peace’. The Lord Himself suffered from DISAPPOINTMENT in His Divine Mission to our Human Race. So did His Apostles. St. James, while in Spain, bitterly lamented his inability to get ‘The Good News’ heard and accepted by those on the Iberian pennisula. St. Paul scolds the Galatians to the point he, the Apostle, BITTERLY LAMENTS he feels as though he has WASTED HIS TIME with all of them. Take some quality personal time OFF for yourself and turn your thoughts and heart to the Lord asking Him whether or not the following is ‘good-decent advice’ from me to you. Consider establishing an ‘end’ to all of your personal RZN efforts on such-and-such a date not too distant in the future. Inform your RZN readers that such-and-such date is the ‘end’ of you pulling out your hair in frustration and disappointment. Advise your RZN readers the world over to DOWN LOAD your RZN articles for themselves because on such-and-such date you simply are going to ‘pull-the-plug’. The Lord told of us a Parable of a FRUIT TREE which refused to yeild any FRUIT. The Land Owner tells His servant to CUT IT DOWN. The servant tells the Land Owner to let that FRUIT TREE stand for just a wee bit longer so as to give it ‘one last try’ in manuring it with the hopes it will THEN bear fruit. If that FRUIT TREE did not bear FRUIT at the end of that period of time - it was removed. In this way, giving a ’such-and-such’ date when you will “pull the plug” on your RZN and Street Evangelism efforts, you will be acting PRUDENTLY to and for the Lord and to all of your RZN readers. The Criminal Jews are making their move. How arrogant they are to think they can fool us for so long in this modern day and age! Brother Nathanael, I have sent you a large donation and will continue to do so. I see how important a site such as yours is. I encourage all visitors to this site to say the following prayer against the forced indoctrination, brainwashing, programming (what else??) going on with OUR kids. It is not just the speech by the president - (does he even have any educational qualifications?) but the prescribed (by what) classroom activities before and after the speech which mould the children as an exact science, around the dufuss speech. 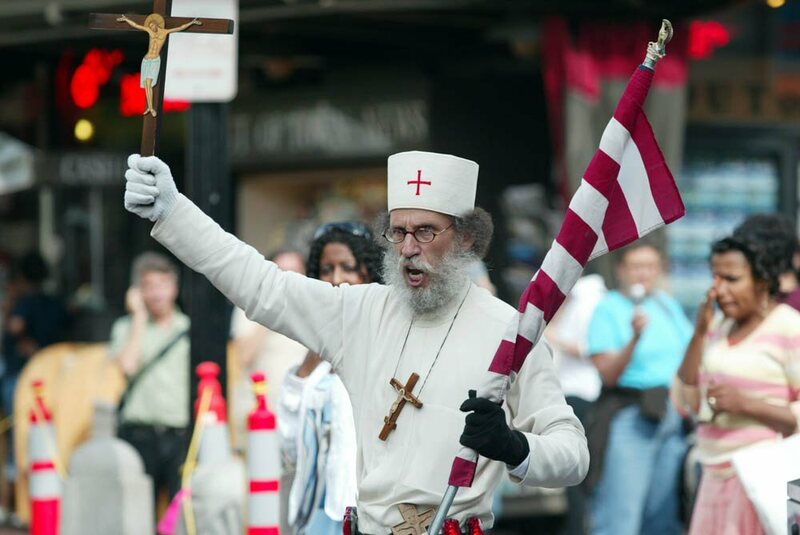 This info which you only get here on RZN through the links provided because Br Nathanael, unlike the rest of the mesmerized population of the USA, actually cares. Its been a while since I visited the website but I’m glad I did. This country is rapidly moving into a Communist government. I have been spreading the news as well as the Gospel of our Lord and Savior Yeshua as I have been called to do from the annointing of the Holy Ghost. I did not go through the man made ‘confirmations’ as some religions require will not as the annointing of the Holy Ghost is all that I need. Keep up the good work on spreading the word! I think the following information concerning compulsory microchipping is a good explanation, one of many, for the ongoing attempt to enslave the youth. US government to decide on who, and who cant be married (page 489). The Secretary shall establish a national medical device registry (in this subsection referred to as the registry) to facilitate analysis of postmarket safety and outcomes data on each device that(A) is or has been used in or on a patient; and (B) is a class III device; or (ii) a class II device that is implantable. It goes without saying, of course, that this new Med-Chip Americans will be forced to have put inside them will not only control their access to medical resources, but will also enable their government to know their whereabouts, spending habits, and so much more as to effectively make these people nothing more than human cattle to be herded, controlled, and if they object to their new status, led to the slaughterhouse. March 2009, the Company formed a new subsidiary, VeriGreen Energy Corporation, to invest in the clean and alternative energy sector. The Company is currently evaluating several opportunities and is looking to invest in companies with existing operations and infrastructure. Following the recently signed stimulus package, which will invest nearly $79 billion in renewable energy, the Companys investments in clean and alternative sources of energy will complement its existing healthcare initiatives. The writer of the above believes that in reality this govenment (your) money is going to the development with government initiative and approval of implantable microchips, under the guise of Green energy. On top of the above, with even Cuban troops now being trained by the US military to put down ‘riots and disturbances in the US’, as let slip by one American general to a Canadian news service, I think its time to leave the country, unless God is guiding you in another direction. Thank you dear “Anonymous” for your support! But right now, the signal and message I am getting providentially from the Lord, is that NO PLUG WILL BE PULLED! Right now, Real Zionist News and Street Evangelism will continue for a long time to come UNTIL the Lord shows me otherwise. And I am getting the GO FOR IT message! If it comes to it, I have decided that if needed, I will simply get a part time job to keep Real Zionist News and the Street Evangelism on line and on the streets. I do thank you for your financial support dear Fr Joseph and the very faithful and even new contributers to OUR site, Real Zionist News, and my Street Evangelism. Thank you to all for your help! We are a family here at Real Zionist News, and like all families, we each have to stick it out through the good times and the tough times. I now give MY COMMITTMENT to all of our precious Real Zionist News family members, that I AM GOING TO STICK IT OUT! Your article on O’bummer’s propaganda speech came just on time. As a concerned parent of two young children in public schools I visited the Superintendent of the “Greater Jasper Public Schools” (Jasper, IN near Evansville). I asked him if they were showing the “Obama Propaganda Broadcast”. He said “yes”. I said “Are you planning on notifying the parents and giving them a chance to opt out”. He replied “No”. I got a lump in my throat for a few seconds, thanked him for meeting me and left. Today (Friday) there’s a front page article in the Jasper newspaper. They admit dozens of parents have called. My kids’ principal says they won’t be showing it at Ireland Elementary School nor at 5th St. ES. The principal told me “no” in person this afternoon. Keep up the pressure! Just say no to drugs and Obama. The Evansville (pop 100K) paper also had a front page article on the controversy. This is what happens when people say “NO” to this Jewish brain washing. +++ Please donate what you can to Bro Nathanael’s ministry. Don’t assume somebody else did. Fighting evil besides courage (which Bro Nathanael exemplifies like a 1 man crusader army) requires funds. Money is good when it is used to fight for the truth and the dignity of all people in the face of Jewish Supremacism. Please donate. The good you do will come back to you. You should be tithing 10% whether you are a Christian or agnostic or non-religious. Tell us then… HOW did you receive the Holy Spirit ? I suppose you believe that you don’t have to be baptized either, right ? And do you also deny the Trinity of Father, Son and Holy Spirit ? A soft answer turneth away wrath. Brothers and sisters, be gentle with your neighbors. They need God’s love. Do not assume they are full of evil. They may need guidance or knowledge. It was just out of my personal love and CONCERN for you that I suggested you consider “pulling the plug” on RZN on account of the general apathy and lethargy from your readers and visitors to RZN. How can one show some concern and compassion for someone at a distance for someone is distress - and emotional discouragement IS a very form of human suffering and distress? St. John did what he could do for THE LORD as He suffered miserably on His Cross by simply BEING THERE FOR HIM. At least THE LORD could open His eyes, look down and see His Mother and St. John and their refusal to ‘abandon’ Him. THAT had to give Him some measure of Personal Consolation and Comfort. I didn’t want for you to feel ‘abandoned’ in your RZN work and Street Ministry, for “being ABANDONED” simply has to be the worse form of suffering imaginable. I thought, perhaps, it would be better for you to slip away from this seemingly IMPOSED ‘abandonment’ by so many on you. Our contemporary World is a very, VERY ‘COLD’ place - and no person should be FORCED to ‘freeze to death’. So many…too many…people nowadays in our World of 2009 Anno Domini have made the WILLFUL DECISION to ‘abandon God’. And when they have found themselves having ‘the Favor returned’ by God - that is to say, when they find themselves ABANDONED by their All-good God, then that brings on the ‘wailing and gnashing of teeth’ our Lord told them that would befall them and remain with them forever. I, personally, do NOT want any living soul ABANDONED by God - and therein lies the very crux and essense of this geo-political socio-economic, religious-spiritual WORLD WAR His Church is fighting against all those who fly the banners of secularism, materialism, hedonism, narcissism in and with their Zionisms, Communisms, Usury Capitalisms, Globalisms, Satanism, Hermeticism, Kabbalahism, etc. So I’ve helped you out as much as I could on account of your RZN Internet ministry SHOWS people the world over just how ‘COLD’ all of these sorts of people really and truly ARE and how and why they want for everyone else to get SUCKED INTO their desires and visions for the entire World and all of Mankind. And with THAT knowledge - every last one of them could and would make a personal ‘Act of Free Will’ to REJECT all of them and ALL they stand for and ALL they promote. And then, the Lord would give them those Divine Graces to help to strenghten them and personally assist them in coming to possess their own ‘METANOIA’ - and begin to do those things TO COMBAT and TO DESTROY all that these anti-Christ types throughout our World have wrought these past decades and this past century. That was very kind of you to offer helping out Br. Nathanael. All of us are “supposed to” help out each other as best as we can with what we have avialable. Now I get to offer up private votive Masses here at my hermitage. I do so for ‘The Universal Church’ and ‘Mankind’ as well as for my Bishop, his Ministry, my family, relatives and friends - to include Br. Nathanael and his ministry. If you’d but simply tell me your first name, I’d be glad to include you, your family, friends and relatives in my Mass prayers and intentions, asking the Lord to thank you for helping Br. Nathanael out in his ministry. Please DO reconsider your personal position on the Church’s Sacrament of Confirmation-Chrismation. DO consider going to ANY Catholic or Orthodox parish, requesting of the Pastor to enroll you to receive the Sacrament(s). Rev. James Manning interviews Obama’s former gay lover Larry Sinclair on Obama’s bisexuality and drug use. Norway excludes Israeli company from government pension fund plan because of its human rights abuses. This coupled with the Swedish newspaper Aftonbladet exposing the IDF’s stealing organs from Palestinians show that the Scandinavians are standing up to the Zionists. Yes, Jesus called us to a life of peace. He also said in ‘this’ world we will always have “wars and rumors of wars”, and he counseled us to not pray for peace here. I do not think the “life of peace” to which we are called is in this world or on this planet. Having personal peace and serenity, and having peace with those around us is one thing, but ‘world’ peace will not happen in this third dimension. It is contradictory to hear the words of Jesus and the church’s instruction with the addition that prayers should be offered to Mary for world peace. Is that not dividing a kingdom against itself? Keep up the good work, RZN, and thank you for the information. No, it is not dividing a Kingdom against itself….to pray to Mary for world peace. Mary was the mother of Jesus…Jesus would not exist were it not for Mary..
Jesus exhibited anger, himself on many occasions, one in which he through the Jewish moneychangers out of the Temple. Mary exhibited exasperation when she found Jesus at 13 teaching others, after having drifted away without telling his mother where he was. There are many instances in the New Testament demonstrating misunderstandings about what Jesus is about…and how the disciples and others try to understand him through his actions, as well as through his words. Mary, is the Queen of that peace. For Catholics, the reference to the ark of the covenant immediately prior to this passage (chapter 11, verse 19) confirms the woman’s identification with Mary as she is seen as the ark of the “new covenant” bearing the Word of God (Christ) in her womb as the old ark carried the Ten Commandments. Catholics interpret Psalm 45, “A Song Celebrating the King’s Marriage”, refers to the Messiah, to suggest in verse nine, that Jesus, the Messiah, would have a queen at his right hand. Although Mary was Jesus’ mother, she is often portrayed as that queen. Other views are that Psalm 45 refers to the marriage of Jesus to His people – i.e., the church which is called the “Bride of Christ” or that Psalms 45 is simply a celebration upon the marriage of an earthly king, giving thanks to God but not referring to the Messiah. It is also believed by those assigning a special significance to Mary, and believing in her Annunciation, that in Luke 1:26-35 of the New Testament the Archangel Gabriel. In the days of Elijah, Elijah was in despair (1 Kings 19:10-14). He had come to the conclusion that he alone was left to be true to God. But God told him that, so far from that being true, there were still seven thousand in Israel who had not bowed the knee to Baal (vs 18). So into Jewish thought there came the idea of The Remnant. The prophets began to see that there never was a time, and there never would be a time, when the whole nation was true to God; But, at the same time, always within the nation there was a remnant left(abit like here at RZN) who had never forsaken their loyalty or compromised their Faith. Prophet after Prophet came to see this. (Amos 9:8-10) thought of God sifting men as corn is sifted in a sieve until only the good is left. (Micah 2:12; 5:3) had a vision of God gathering the remnant of Israel. (Zephaniah 3:12,13) had the same idea. Jeremiah forsaw the remnant being gathered from all countries through-out which they had been scattered, which when you think about it, the same applies to us here at (RZN) through the internet. Jeremiah 23:3. Ezekiel, was convinced that a man could not be saved by either a national or an inherited righteousness (Ezekiel 14:14,20,22). Above all this idea dominated the thought of Isaiah. He called his son “Shear-Jashub”, which means The Salvation of the Remnant. The idea of a Chosen People will not hold water for this basic reason. The relationship with God is an individual relationship. No Church or Nation is saved en mass. A man must give his own heart, make his own submission, surrender his own life to God. A man is not saved because he is a member of a family, or because he has inherited righteousness and salvation from his ancestors; He is saved because he has made an individual and Personal decision for Jesus. It is not now the whole nation who are lumped together en mass as the Chosen People. It is those individual men and women who have given their Hearts to Jesus, and who have obeyed Him, of whom the remnant is composed. The remnant is the body of consecrated, dedicated men and women within the nation. So my Brother Nathanael the race is not yet over, your work is being noticed and I am glad as are all The Remnant here at (RZN), that you will continue proclaiming The Gospel to all The Nations. Check out the video of an American citizen in Israel confronted by Zionists. You will not see this on the mainstream media. I always knew that Jews were the ones promoting the Rap Music Industry as a way of advancing the Protocols of the Elders of Zion by destroying the innocence of Christian children. But I did not realize how the major rap stars incorporate Jewish-Masonic symbolism in the filth that they peddle until now. But considering that this video has one million views, its reassuring to me that people are finding out about this Zionist plot. You have already proclaimed Christ before men, here on this board so you are made righteous with Christ, and He will proclaim you before his Father in Heaven. l have studied communism all my life and it took me some 30 years to get the answer to the Q: What is Communism really? Communism is a Jewish fraud. Communism is all about Jews taking control of the 200 states in the world – AND – the stupid and ignorant non-Jews not understanding that Jews controls their state. Communism says that everything from the old state must be wiped off the face of earth. Obliterate everything from the old society. lf you’re going to take over the world you start with the biggest country there is and turn it into a Jewish proxy war machine. And that is what the Jews did, the Jews tried to take over Russia 1881, 1905 and finally succeded in 1917. Up till the late 30s the jews destroyed everything that even remotely reminded the Russian people of Russia. Then came WW2 and the Jews made a 180 degree u-turn and made the Russians into patrioTARDS. The Russian people was brainwashed into believing that the holiest thing in their life was to kill white German people. What the Jews did was make the Russian people hate Germans. 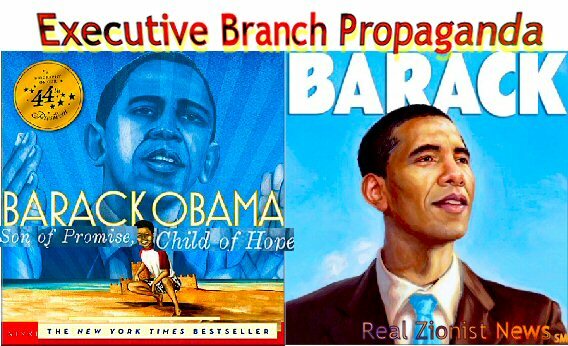 A big step in the brainwashing was this Jewish propaganda movie. Just watch the end, she is Mother Russia that must be defended by the Russian people. This is a great song and could turn anyone into a patrioTARD. This movie is 100 percent Jewish propaganda. Douglas Reed was one of the most well known journalists at the time in the 30s. He went to Moscow with Eden. What is special with Douglas Reed is that he knew a Jew when he saw one. He hadn’t a thing against Jews – yet. “For I wrote that Eden had passed through streets lined with ‘drab and silent crowds’, I think that was the expression, and a little Jewish censor came along, and said these words must come out. I asked him if he wanted me to write that the streets were filled with top-hatted bourgeoisie, but he was adamant. Such is the intellectual level of censors. The censorship department, and that means the whole machine for controlling the home and muzzling the foreign press, was entirely staffed by Jews, and this was a thing that puzzled me more than anything else in Moscow. What the Jews did was that they turned the Russian people into patrioTARDS that fought the Jews proxy war against Germany. The Jews are using exactly the same scam to make American patrioTARDS fight their proxy wars 2009. To the Russians WW2 is called the Great Patriotic War. What do you Americans call WW2? The Good War. Same, same … Jewish bullsh-t and Jewish proxy wars made to make white people kill the enemy of the Jews. After WW2 the Jews invented the Jewish fraud the Cold War to motivate the military buildup. After the Jews gave up Sovjet the Jews invented the fraud War on Terror. Why? To motivate a never ending military buildup and make American patrioTARDS fight the Jews’ proxy wars. 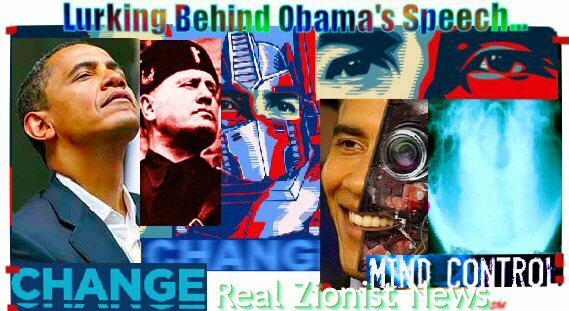 Wake the damn up America and realise that the Jews only uses you – Onward Christian Soldiers! You can compare the jews propaganda in the Jew run Sovjet with the Jew propaganda in America during WW2. lt’s exactly the same thing, glamorizing women working in factories and taking care of the homeland while the men are off fighting the Jews’ proxy wars. ln WW1 America was the Jews proxy war machine. Then in WW2 it took the jews their three proxy war machines America, England and Sovjet to kill off their enemy Germany. The Jews needed the three biggest countries in the world to finish off Germany. l can tell you to the day when the Jews took over the American state, December 15, 1911. Six years later the Jews took over the Russian state. This book by the Jew Edwin Black is mandatory reading. Let’s be “rational” about this (big grin). then “rationally” (grin), we all ought to accept what THE LOGOS Himself has to say about what He would do FOR the same Human Race for Whom He died a most miserable Death on His Cross in order TO SAVE it and TO REDEEM it - out of Divine Obedience to HIS OWN ETERNAL DIVINE FATHER in Heaven! That’s my ‘take’ on all of this. THE LOGOS is perfectly capable of CRUSHING the head of Satan and sending ALL of his unseen legions of Hell along with all of their human stooges, dupes and allies throughout our World. …just like all the Angels and Saints constantly and eternally DO in Heaven. Such are my thoughts, vision and aspiration. …When an individual “works” for “pay”, and is “paid”. The de facto reality is the payee is exchanging time and energy for “something” “of value”. No taxation by a foreign economic terrorist entity without representation” is a basic nonjewish American principle. Yet, the taxation currently endured by ZOGUS terrorised “taxpayers” because of the Talmudia terrorist “Lobby” far exceeds the level of taxation by the “British” that led to the American Revolution…(accepted version). 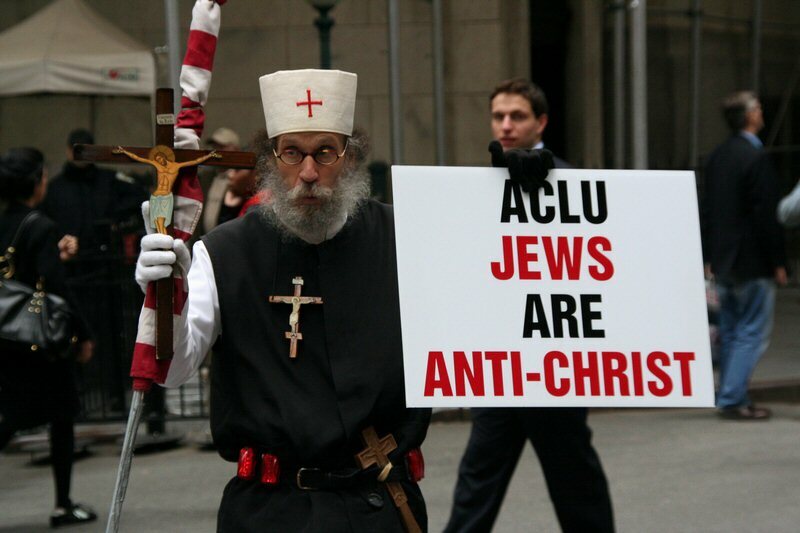 Through spiritual- sorcery - subversion advocates have orchestrated passage of the Talmudic terrorist “Patriot Act”, sodomites defile the land/spill innocent blood, “Security” abuses, and other erosions of “civil” liberties. Pro-Talmudia organisations file lawsuits to keep the question of Talmudic terrorists investments off local ballots. Synagogue of Satan “Jewish” communal organisations bribe elected Jew worshipping “public officials” (paid in Jew script) with “free” trips to Talmudia to gain their support - even against the will of the majority of their nonjewish “constituents”! Financing Talmudic terrorists at the expense of basic nonjewish American values victimises every nonjewish citizen to benefit a very small sub-group/satanic mind control cult/EDOMITES of the population and also creates worldwide anti-ZOGUS hostility, which puts all Americans at risk of terrorist retaliation. Obeying the Talmudias’ lobby goes against all “logical/Biblical” American self-interest. Obeying Zionazi/Jewish pressure to invade several non-Jewish countries at once means watching America commit suicide, economically and SPIRITUALLY, politically, for the sake of Talmudic Terrorists. Zionazi activists are a real and present danger to the USA. They should be stripped of their US citizenship and sent to Guantanamo for piss sack jewish “interrogation”. America’s non-Jewish free press, justice system, and REPUBLIC (anti-Jewish) are dependent upon the separation of American from Israeliars and Murderers interests. To survive, America must disentangle itself from the Zionazi web of control. The common Zionazi argument that [NONHEBREW] Jews should get to keep what they stole just because they’ve been sitting on other people’s property for so many years is not a valid legal argument. International law as defined by the post-WW2 (Jew contrived) Nuremburg Tribunals does not confer upon Jew terrorists / occupiers any entitlement to “security.” Zionazism is nothing less than a Jew terrorist/EDOMITE criminal ideology that completely rejects the fundamental American principle of sacred property rights. Each year, hundreds or even thousands of Palestinian children are arrested, tortured, interrogated, abused and incarcerated by the criminals of the Israeliar & murderers terrorist military occupation. Several Israeliar films are being screened at the festival’s new City to City event, which this year celebrates Tel Aviv’s centennial. “Culture critic”… Naomi Klein and director John Greyson are among those who had already announced their protest over the homage to jew terrorist Tel Aviv. Since converts to talmudic judaism will never be “ISRAEL”, and since the Children of Israel who will never be “Jewish”…the solution would be simple for those “IN GOOD FAITH” to set the facts straight….for the Children of Israel…who are not …jewish. (No one HAS to be “Jewish”). “People who support letters like this are people who do not support a two-poop pile solution,” he was quoted as foul smelling on Hilton’s blog. Fonda, 72, rose to fame as an actress in the 1960s, but has since become known for her political activism, including her opposition to the jew terrorist contrived Vietnam and Iraq wars. Glover, who is probably best known for co-starring with NOTORIOUS IDENTITY FILM MAKER (hated by Jews) Mel Gibson in the four Lethal Weapon movies, has also been politically active since his student days. He made headlines in 2006 when he traveled to Venezuela with a group of celebrities to show solidarity with president Hugo Chavez. Ensler, whose father was reportedly Jewish, is an American playwright and activist who wrote a poem. Thank you Brother Nathanael. Peace be upon you. Today I attended the Traditional Latin Mass today for the first time. Last night I clicked on your link to St. Simon of Trent and other info on traditional Catholicism that you placed in your previous article. This got me thinking and was the catalyst for me to travel outside my parish and attend the Mass in Latin at a different church. The experience was amazing. The Mass was so reverent and holy and I realized how I was missing out all these years going to the liberal “Novus Ordo” mass. Oh, by the way where have you seen that expression before? On the back of a one dollar Rothschild Federal Reserve Note under the masonic pyramid! Thanks for opening my eyes Brother Kapner! You all NEED to wake up to the technology of today: “The SOUND of SILENCE -SYSTEM” used during the presidential election-campaign and in Berlin is able to hypnotise huge crowds of peoble via a sub-audio, sub-liminal process , like the H.A.A.R.P.-systems to induce a religious sentiment, a frothing rage or whatever. You risk to have your children hypnotised into blank,fanatic OBAMA-JUGENDS, ready to report their parents. AND that is not all; your TVs are being fitted for HD - and the “Sound of Silence-system” is being implemented stealthily at the same time. It is Hitlers dream!!! Start resisting while you still can; 700 FEMA-camps await you otherwise, use them for the illuminati-criminals, the Zionist-bankers and politicians instead. Another Direction - A New Government. Save the Republic. Fearless Opposition. Pat Buchanan is receiving a lot of criticism from the Jewish community for his new article explaining that WWII could of been avoided, that Hitler really did not want a world war. Thats great MK. All you need is one other person to join you and God will grant your request. But you have to mean it with your whole heart. “Today I attended the Traditional Latin Mass today for the first time. Last night I clicked on your link to St. Simon of Trent and other info on traditional Catholicism that you placed in your previous article. This got me thinking and was the catalyst for me to travel outside my parish and attend the Mass in Latin at a different church. The experience was amazing. The Mass was so reverent and holy and I realized how I was missing out all these years going to the liberal “Novus Ordo” mass. Response: Glory to our Lord Jesus Christ! Amen! Welcome to the ranks of the defenders of Faith and Sacred Tradition by taking up the Latin Mass, and God bless you for your warming witness of what you experienced. You have found a little oasis in a land of dry wells! In my own, very small opinion I believe that little Blessed Simon of Trent has personally adopted you, and the concurrence of your return to the Traditional Latin Mass, also known as the “Tridentinus”, which means “related to the city of Trent, Italy” is no “coincidence”, considering that the Novo Ordo to please the Jews has labored to erase the life and memory of precious and holy child martyr of Christ, Simon. Looks like Heaven has other plans for our little but mighty spiritual warrior, the child-martyr Simon. What joy that he has touched your heart! You might be interested to know that Western rite Orthodox Christians, particularly in the Antiochian Orthodox Archdiocese of North America, use the Tridentine Rite in the Latin vernacular with minor corrections, to restore its pristine antiquity under the title of the “Divine Liturgy of St. Gregory”, because Pope St. Gregory the Great is a Western Orthodox saint and liturgist. The Tridentine is very old and venerable dating back to the 7th century of the undivided Church, when it was blessed east and west, and translated in Latin from the Byzantine rite when we were all unified by the Divine Liturgy even though we spoke different languages. The amazing experience of “reverence and holiness” is a taste of grace and of what we Orthodox call “right praise/right glory” in heart, soul, mind and body which is what orthodoxy means. No doubt our leader Obama reads our board LOL. Good for him. I wonder how these young kids could write their destiny without the important support of the government. How the 12 million US kids (could be more) without any health care coverage are going to concentrate and study hard while in pain or sick? And how US kids whose parents received food tickets will study almost hungry? For each person US government gives $120 for food per month. With $4 per day you could not feed a child. And what about the kids living in tent or mobile homes cities? We need a material base in order to advance spiritually, even the communist rulers knew that. Here is another weak point of Obama. Of course you can get reach without hard work. . Who is rich now in US and the world.? Kathjulianne - Glad to see you’re not totally against the Catholic Church. here are many traditional Masses said across America, you can find them on line and the Pope has pushed this now in a big way. 1. ALL PRIESTS MUST NOW RESPOND TO THE REQUESTS OF EVEN ONE PARISHIONER TO HAVE THE TRADITIONAL MASS SAID. 2.THE NOVUS ORDO HAS JUST BEEN CHANGED, AND ABOUT TO BE IMPLEMENTED, TO REFLECT THE WORDING AND MEANING OF THE TRADITIONAL MASS. WHY IS THE NATIONAL GUARD RECRUITING FOR ‘INTERNMENT’ COPS? I guess they don’t want to leave all those hundreds of well documented internment camps idle. …The jobs also were listed at Jobsearch.money.cnn.com, employmentguide.com and freedomsphoenix.com…. The new add says successful candidates will “provide external security to detention/internment facilities” and “provide counseling and guidance to individual prisoners within a rehabilitative program.” ….. The campaign follows by only weeks a report from the U.S. Department of Homeland Security warning about “right-wing extremists” who could pose a danger to the country including those who support third-party political candidates,(the report warned law enforcement agencies to watch for suspicious individuals who may have bumper stickers for third-party political candidates such as Ron Paul, Bob Barr and Chuck Baldwin), oppose abortion and would prefer to have the U.S. immigration laws already on the books enforced. It further warned law enforcement to watch out for individuals with “radical” ideologies based on Christian views…. The number of states recently puting mandatory vaccination enforcement on their book has increased. This is already provided for in federal legislation covering martial law and emergencies..
People will ‘gladly’ accept their enslavement. They have been undergoing a conditioning process which started before their birth even. So they cannot see it, have been conditioned to believe they are free, so they believe it, and have no idea what is in stall for them. Those who do will soon be imprisoned and ‘counselled’ by people recruited off the streets - as the above job add clearly shows. Government, beaurocracy and particularly the organization that controls them are very secretive. Their plans and the means to carry out those plans are hidden. The above information even, could not possibly do those plans justice. Yet I am not troubled. “Even though I walk through the valley of the shadow of death I shall not fear” for my Lord and my God protects me. Obama is now ratching up his charismatic speeches to the children and mesmerizing them into a hypnotic trance like the state which they are already in from all of their electric junk input they receive on a daily basis. His speaking is rythmic, with special pauses and sound effects to hypnotize the young ones on not so much what he says, but how he is saying it. The guy is a prepared rock star acting as the agent President for the gurus of the NWO. I have already contributed to your organization and I’ll continue to do so whenever I can. This is because we need more people like you, those exposing the truly wicked. However, I do want to say that you may be focusing too much on the Jews. How about evil Christians and Muslims because Heaven knows that there are several of these too and have been throughout history. If you look at Islam, you see that Muslims have done so many things that were just blatant violence. The marine bombing in Khobar Saudi Arabia in the early 90’s (I believe) that killed many American servicemen. How bout Hezbolla’s truck bombing on the barracks in Beriut that killed many a serviceperson? How about 9/11 which I’m not fully convinced is a conspiracy. The list goes on and you get the idea that Muslims are not exactly the friendliest people, not just the Jews. And Christians for that matter have really come a long way in terms of being the only religion I know of that has a Unitarian type sect. What better way to have a truly cohesive society and peace? Ideas of democracy, freedom, equality, invention, and many more are Christian in nature (I believe). The reason I truly believe this is that in Judaism, as Brother Nathanael has pointed out, follows a mother’s bloodline. In Islam, it’s the opposite - father’s bloodline. But, in Christianity, you don’t have this strict adherence to tradition or whatever you want to call it. Anyway, I also want to say that Christians are the only people I know that believe in forgiveness. It is a very well known fact that Iranians are not a very forgiving people. At the same time, Jews aren’t exactly very forgiving either. Both Jews and Muslims believe in an eye for an eye, while Jesus believed that one should love thy neighbor even if that neighbor is nothing but malicious. You begin to see that Chrisitianity is truly a very unique religion and that real Christians know that it has a lot to offer and that fellow Christians are a great asset in the grand scheme of things. Anyway, you all get my drift yes? The GRANTING of forgiveness goes hand in hand with the SEEKING to obtain forgiveness. There is no real or lasting RECONCILIATION when one party just mindlessly GRANTS forgiveness to another party which simply continues on in the deliberate, premeditated actions and activities of doing WRONG and causing HARM and INJURY to the former party or parties. For FORGIVENESS to have a real and lasting effect, the LATER party which constantly causes and initiates the WRONGS, HARM and INJURY to the former party has to come to the staggering realization THEY THEMSELVES are the source and cause of the WRONGS, HARM and INJURY - and they have to have some sense of the personal REMORSE and the HORROR of what they have DONE - not only with respect to the INJURY done to others BUT ALSO to the injury of what our All-good God and Creator WANTS to have ACCOMPLISHED with, to and for His Own Creation. The party which causes/initiates the WRONGS, the HARMS and the DAMAGE DONE to the Divine Intentions and Divine Will of our All-good God has the spiritual responsibility TO HALT, to CEASE & DESIST in their individual and collective WRONG DOINGS. Charity desires to see the welfare and wellbeing of human beings. And JUSTICE and ACTS OF JUSTICE is but one form of Charity being made manifest in and to the lives of individuals and communities. Murderers and criminals, whether they are wearing their gang’s tatoos, colors, insignia, garb, whatever OR whether they are wearing three piece suites, patent leather shoes, red neck ties and flashy insignia and lapel pins of all sorts and types - such Murderers and Criminals MUST BE brought to JUSTICE - that is, if CHARITY has any real substance and/or meaning FOR human societies and entire nation states. If human beings within organized human societies will NOT see to it that the Charity of JUSTICE is done to the Wrongdoers, Murderers and Criminals within their own ranks - then it is left to our All-good God Himself to see to it that His Law of Charity is NOT perpetually ignored and relentlessly VIOLATED by ‘Gangs’ of human beings - be they members of Organized Talmudic International-Transnational Jewry OR organized Kabbalistic International-Transnational Freemasonry. God Himself has threatened our Human Race with His Own Divine JUSTICE if it does NOT ‘Cease & Desist’ its current Immoral Mayhems and begin, in earnest, to seek His Forgiveness and being making Reparations for the manifold forms of INJUSTICE imposed on the peoples all across our contemporary World. But what does one do with such people who have made it their lifelong passion and pursuit to inflict LIES and MISERY on others, generation in and generation out in their own unique organized-indoctrinated ways who have ALL chosen to give up on and REJECT even the very notion of the existance of an All-good and Omnipotent God and Creator? It may very well result in the Divine Necessity of GOD HIMSELF visiting these people with His Own Form of Divine Justice - and as Our Lady of Akita Japan informed Sr. Agnes back in October 1973, our God and Father in Heaven may have to wind up BURNING UP this entire planet earth of ours on account of the UNRESTRAINED evils of these ‘Power Elite’ indivdiuals who have no fear of human JUSTICE because they ‘own’ the governments and those government’s officials. Regarding ‘Unitarian Universalism’. Say what one wants, but it is NOT Christian. Unitarianism subtly REJECTS the Creeds of the Chrisitan Church seeing that as a ‘remedy’, a ’solution’ to all of the religious and DOCTRINAL hostilities in and amongst the human race down through human history. In it’s place, one is allowed to be a member of the ‘human community’ wherein all manner of creedal-doctrinal considerataions is set aside as ‘unimportant’ so as in order to maintain mere natural human cohesion. In essense, doctrines and creedal statements are unimportant - one can believe anything one wants SO AS LONG as natural outward-overt interrelations between the community members is made the prime Objective. That is nothing more but Humanistic Naturalism - the ‘here and now’ and our ‘being comfy with each other’ is all that REALLY matters - and any sort or type of Direct Divine Revelation from God the Creator Himself is placed in a Box and quietly relegated to a forgotten dark corner of the basements of everyone’s houses. Or consider it in this fashion. The Unitarian Universalists grant FREE TICKETS to the upcoming BASEBALL game featuring the rival New York YANKEES vs. the Boston RED SOX. They wind up filling up Yankee Stadium with 60,000 people. The Game starts. And that Game consists of and proceeds with NO SET RULES whatsoever. In order ‘to please’ the 60,000 Unitarian Univeralists spectators in Yankee Stadium, EVERYONE can ‘choose’ how many innings are to be played, how many players are on the field, how many pitches constitute a STIKE or a WALK, how many OUTS each side can have at any time during the game, what constittues an ‘Out’, what constitutes a ‘Foul Ball’ vs. a Ball-in-Play. The entire STRUCTURE and PURPOSE for getting these 60,000 people into Yankee Stadium to see the arch-rival teams of the Yankees vs. the Red Sox simply becomes utterly MEANINGLESS. The ‘Game’ nor does the arch-rival ‘Match’ meaning anything much - what matters is that 60,000 spectators get to SIT TOGETHER IN THEIR SEATS for a certain period of time without causing violence or injury to one another. Unitarian Universalism, when you consider it in that sort of light, is nothing more that what Grammar School teachers attempt to do in order to see that their students are well behaved and treat each other well during the course of the school day and the school year. BUT those religious-spiritual ‘Grammar School Students’, while perhaps well behaved and not having caused each other any injury during their school year - HAVEN’T LEARNED A BLASTED THING OF PERMANENT AND LASTING SUBSTANCE! The thing is Fr. Joseph, I beg to differ. You see, one of the best features of American democracy is the openness to all ideas, creeds, and races. If you don’t mind me asking, how do you resolve the differences among all the different Christian sects? You do nothing? They are some really big differences, namely one can easily refer to the Mormon Church. Most non-Mormons do not believe that Mormons are Christians at all, but more like a Cult. So, what I’m attempting to really say here is that forgiveness and openness/democracy are inherently Christian ideas and that other Monotheistic religions do not exactly espouse these ideas. You see what I mean? I’m just that Christians are different enough from the Jews and Muslims that reconciliation and guilt can be dealt with a lot easier. I guess this is more of an opinion because this is what I have experienced over the years. I’m not attempting to generalize at all here. If you find that the Unitarian Church is questionable, then what about the followers of the King James Bible? Do you know that they do not believe in a Doomsday? How spiritual is that? Not a single other sect of Chrisitianity that I know of espouses this idea of an “end of an era or age”, not of the world. This changes the traditional Christian belief that there is a Doomsday yes? So, are these people not Christians? Are the Mormons not Christians? Well, they are certainly not Jewish or Muslim. About justice, you know very well that there is a separation of Church and State. So, the judicial system may be historically based on Chrisitian ideas, but it doesn’t matter who the perpetrators/criminals are, they are prosecuted under the full extent of the law. The law doesn’t see differences in wrongdoers. Lawyers are very much like auditors: many of them do not make arbitrary decisions they that see fit, for lawyers themselves are subject to the law. So, more or less, lawyers, I believe, try to be as objective as possible and that has nothing to do with religion at all, because there are probably atheist lawyers. But, I do want to point out to you that the only people that you see in the news, if you watch or read it occassionally, that are bringing others to justice are most likely Christians. How about this whole business of human organ sales on the black market? Who rightly pointed out that Israel was most likely involved in these illicit sales and who took action against them? Weren’t they Christians from Christian nations? For your information on Christians please read Acts 11 verse 26. As you can see, it was in Antioch that the Christians were called Christians. The word Christian began by being a nickname. The people of Antioch were famous for their facility in finding jesting nicknames. The termination -iani- means belonging to the party of. For instance Caesariani means belonging to Caesar’s Party. Christiani means These Christ Folk. Or belonging to Christ. It was a half-mocking half-jesting, wholly contemptuous nickname. But the Christians took that nickname and made it a name which all the world was to know. By their lives they made it a name not of contempt but at the courage and love of which all men were to wonder. As for Mormonism, this has nothing to do with Christianity. True mormons believe that the Husband has the only power to call his wife/s out from the grave and will have a planet of their own to populate. So in saying they become a god of their own planet. There is so much more i can say about this subject, but to be honest with you i would rather spend my time learning about Jesus Christ and not Joseph Smith. The true Israel is not composed of any Nation or any Race. It is composed of those who accept Jesus Christ in Faith. Now we are getting somewhere Paul. About the Mormons, I was approached by some and they did in fact invite me to their Church and I did learn a great deal about them. If what you say is true, a guess Mitt Romney didn’t have a chance at the Presidency (I think he is a solid politician, certainly a much better one than Mccain). However, I do want to say that all Mormons I every met were very good people. If, in secrecy, they have these cult-like rituals and beliefs, then, the three Monotheistic religions now have something in common: they all have cult-like offshoots or whatever you wish to call them. However, I do ponder a bit about the passage you have asked me to refer to and how Christians go their name. Rather interesting. But, I do wish to ask, what do you all think about the King James Bible? You have a lot of questions - very good questions, now mind you - BUT you’re going to HAVE TO do some reading. Regarding this ‘Separation of Church and State’ - you will NOT find that in either the Declaration of Indepedence OR the Constitution of the United States of America. That motto ‘Separation of Church and State’ is the results of a U.S. SUPREME COURT JUDICIAL ‘FIAT’ uttered by the Chief Justice Hugo Black (and vehemently anti-Catholic KKK member) in the Everson vs. Board of Education case of 1947 A.D.
That SAME U.S. Supreme Court, just 16 years prior, in 1931 A.D. stated from ‘The High Bench’ that the U.S.A. was a CHRISTIAN Nation in U.S. vs. MacIntosh. Fickle bunch of people, changing religious identification as well as the U.S. Constitution according to the WHIMS and PREFERENCES and personal PREJUDICES of the sitting U.S. Supreme Court Justices. Read these books in order TO ANSWER all of your current questions, and more. I do do reading Fr. Joseph. And I do like what you have laid out for me to read. However, there’s not much, at least in my mind, that you can do to reverse an old standing law that really has been ingrained into the minds of all. For example, it has long been established that the U.S. Federal Reserve operates independently of the government. However, the circumstances under which this happened were apparently secret and no opposition was allows to the bill bringing it into existence. So, the question becomes: what am I supposed to do about? Heaven knows, I never want to be a politician but Heaven knows, I do like to have some clarity. Also, I did read that even the income tax is illegal which IRS personnel have openly said. Can you believe this? These two theories (I’m going to call them theories for now because I can’t say for sure) are actually really hair-raising if they are indeed true. I actually wish to God that they aren’t. To be sure, the number of interlocking and interrelated VEXING problems confronting our U.S. Nation and, for that matter, the entire HUMAN RACE truly appears to the average person just too overwhelming. The reason why it is becoming thus is in order TO INDUCE Mankind, people here in the U.S.A. as throughout the rest of our contemporary World to RETURN TO the abiding and ever-mindfulness of He AS God. It brings about a certain degree of PEACE within one’s mind and heart to AT LEAST know what the REAL problem is and what the REAL answer-solution-remedy is to that or those REAL problems. You have some pretty solid cites here Fr. Joseph. However, I guess someone may ask the following question: how does science, and philosophy fit into Christianity? For sure, science and philosophy can easily cross over into being blasphemous because they both question the existence of God and they try to rationalize truths based on limited knowledge of a Greater Power. So, this is what faith is all about. I do want to say though that the connection between a person and the Greater Power is not something that can be given or described, for it transcends a human’s five senses. That said, no single person, whether a religious person or not, has the right to dictate what someone should or should not believe. And, this is what democracy is all about. However, the Ten Commandments, the best laws that have ever been documented in human history, are definitely a guide to human behavior. I believe these commandments transcend all religions, for these are more like a code of conduct and real laws can be based on them. If you look into different histories, you begin to see several parallels with other religions. That is, several other belief systems have a central profit or character that is Christ-like. In this way, I would have to agree with you that the Catholics probably have a very good idea of what Christ was actually like yes? Every single “paper” in the whole Western world is owned by JEWS. Every single so called “journalist” in the whole Western world is a JEW-Whore. The only reason every single so called “journalist” is hired by the JEWs is that they promote the JEWS’ Zionist agenda. The day the “journalist” grows a brain he/she is fired, and the JEWs just take in another stupid self-hating goyim. Get the big picture! The more the JEWs post up a so called “politician” or a so called “journalist”, the bigger JEW-Whore this person is, in essence they are stupid and ignorant people that don’t know the first thing about JEWs. Hey Hoff. This is absolutely despicable. As you may have all gathered, I happen to be a white male of a mixed ethnic background. But, I don’t consider myself a mixed person, rather just a another caucasian. As a caucasian though, the blacks do in fact know how to use the race card everytime there is a problem that they have. That is not to say that every problem they have is the white race’s fault. That’s just absurd. So, this article you posted above “that white people should not even be pictured on the front cover of a textbook on Western Civilization” is extremely offensive and unacceptable to the white race. I really believe the white race has progressed the most out of any other race on the planet. We are the inventors of the auto industry, the computer industry, the railway industry, and so much more. We are mostly Christians, and the vast majority of us are well-to-do peaceful and efficient citizens of wherever we happen to reside. If a black person happens to read my reaction here, I’m definitely not a racist at all. Do you know that white people are so afraid to even say the word black? I for one am not. Anyway, Hoff, I think what you have brought to our attention is extremely critical. Please be informed that there is absolutely NO CONFLICT within Catholic thought and thinking with regards to coming to a knowledge and understanding of ANY aspect of God’s Creation. And since God has created ALL that is ’seen’ and ‘Unseen’, Catholicism accepts the ‘Scientific Realities’ of God’s SEEN Creation - and Catholicism accepts the ‘Religious-Spiritual Realities’ of God’s UNSEEN Creation. Now then, with respect to ‘philosophy’, that word consists of two Greek words ‘philo’ and ’sophia’. ‘Philo’ is the word used to denote that particular form of LOVE which does exist in the ’spiritual’ realm and apect of human life - the BROTHERLY of love, and ’sophia’ which means WISDOM. Now Knowledge and Understanding in and of themselves DOES NOT consitute the necessary elements of brining about a just, harmonious and beneficial SOCIAL ORDER amongst ‘The Brothers’, ‘The Sisters’, ‘The Men’, ‘The Woman’ and ‘The Children’. What Knowledge and Understanding need to be made effectively manifest in Human Society is the Spiritual Gift of WISDOM. Hence, even ‘The Ancients’ of Civilizations gone by recognized the underlying and crucial value of WISDOM so that all manner of Knowledge and Understanding that that Human Society had managed to gather, collect, assemble and recognize would be put to GOOD USE to result in a GOOD OUTCOME. And that is why there has been, is and always be the latent UNSEEN innate desire in peoples the world over for ‘PHILO-SOPHY’ - and the reason for THAT is on account of people the world over RECOGNIZING that this seen and Unseen ‘All’ in which we ALL move, live and have our being relentlessly operates with total indifference to any person or peoples under the universal principle of ‘CAUSE & EFFECT’. Honestly now, isn’t THAT a very hostile, bigoted and prejudiced statement on your part? Why do you ONLY pick on ‘religious’ persons. Are you COURAGEOUS enough to state and assert the following in the same breath? And the list of ‘NO SINGLE PERSON’ outside and not at all affiliated with ‘religious’ matters can be included in that statement of yours. So no SCIENTIST can tell us to believe anything. No DOCTOR or NURSE or PHARMACIST can tell us to believe anything. No TEACHER or EDUCATOR of any sort on ANY topic or subject can tell us to believe anything. And on and on it goes. THAT, my dear Jarred, is simply A RECIPE to bring about THE DOWNFALL of all of Mankind our Human Race. THAT, my dear Jarred, is NIHILISM wherein absolutely NOTHING really and truly matters. And if there is NOTHING ‘to believe in’ and there is NOTHING anyone else can tell us is ‘REAL’ and ‘TRUE’ - then why even bother THINKING? Why even bother WONDERING? Why not simply dig oneself a six foot hole in the ground, put a bullet in one’s head, and then arrange for someone else TO BURY you? Jarred, the ontological FACT and the undisputable religious-spiritual TRUTH regarding our Human Natures as either ‘Male’ or ‘Female’ is that we are SPECIFICALLY CREATED ‘to think’, ‘to wonder’ and to ‘come to believe’! Our Human Condition causes us to make a substantial DECISION with the use and assent of our individual FREE WILLS - we either chose to believe in and live our lives according to LIES, MYTHS, FANTASIES and FAIRY TALES conjured up by the imaginations of created minds OR we come to live our lives according to the TRUTH, REALITY, SUBSTANCE of the Thoughts of the Mind of God our Creator Himself. Therein, my dear Jarred, is the ‘Fundamental Option’ place before each and every last human being who has ever lives, is living or who may come to have life in the future. And to address your final observations on and with ‘Christ’. GOD took on our human nature in the Person of Jesus, the Christ. GOD Himself, the Creator of all that is seen and Unseen WALKED AMONGST US here on this very same PLANET EARTH 2,000 years ago. And GOD Himself told us all about Himself and the Meaning and Purpose to and for all of our lives and HOW to live these lives He has given us in these created human natures of ours AS either male or female. It’s really and truly ‘THAT SIMPLE’! Our individual and/or collective RESPONSE and REACTION to that Historical Event and to that Historical Fact is what constitutes all of Human History these past 2,000 years. It’s not that I’m not courageous Fr. Joseph or insensitive, rather I’m not in the game of offending others. I do know many people aren’t religious or even scientific. No harm no foul, no offense brother. I can be assertive, certainly, but I have met atheists before, which on my part, I cannot judge them at all. I just don’t feel I have the right to do so. And, I have met many scientists too, and again I’m in no position to judge them. However, a scientist following the strict guidelines of the scientific method, would say that when organized reiligion met organized science, these two things separated and are indeed separate entities until today. Science can in no way affirm or deny a presence of a Powerful and Omniscient God. That is not to say I don’t believe in such a God, but the scientists may be considered atheists because they neither affirm or deny such a deity. Anyway Fr. Joseph, it is certainly not my attention to offend you or anyone else. I have been taught to acknowledge, whether I agree or disagree, all sorts of ideas. Individualism is what allows for creativity and thinking outside the box. And yes, I do in fact do a lot of reading and thinking but you do realize that I am a devout Christian and my duty is to serve my country, the United States of America. I regularly read, think, and reflect via introspection and hope that my belief in Christianity makes me a better person. Church is a means of bettering oneself in the interest of one day attaining a true understanding of our Great Lord. In this 20-21st century which is the culmination of history, like it or not, we learned to “speak”, create, and draw closer to God, like never before. was met by an opposite reaction ……..
WWI and the Zionist assault on Russia in 1917. The theme of the destruction was spirituality. Germany: the most educated, the most cultured country in Europe. It was full of music, art, museums, hospitals, laboratories, and universities, industry and engineering, prior to 1939. The Zionists said. “We must destroy Germany.”….. WWII. The theme of that destruction was culture and creativity. After the twin destructions of the most spiritual, cultured and industrious peaks of humanity there blossomed the third advance, the USA, with its gift for words. Man learned to communicate, like never before, and this could only mean one thing, the lifting of mankind out of universal ignorance. The international cartel of “banksters” and their masters, the magicians’ response was predictable - the theme of this destruction, perhaps the cruelest of all - was mind……. WWIII? Post 9/11 refugees from the USA, who also saw the writing on the wall. Many went to Australia, France (not such a good idea under Zarkosy) and South America. I have met people from all three groups. They are all first class. Russians and Germans rose in time like a phoenix from the ashes. The USA after its baptism of fire, will do likewise, giving mans’ spiritual, cultural and creative advances a universal voice. You know Charlie, I think we may have gone a little big off track and I apologize on my part and I thank you for talking about mind control. My humble opinion is that there is no better way to control a population than to control them religiously. When Fr. Joseph says that I’m hard on religion, there is a specific reason for that. Fr. Joseph, if you look at history, there have been so many millions of people massacred, raped, totured, and just about every horrible has been done to them. Do you know that after Germany lost WWII, millions, yes millions of German woman were raped? That doesn’t sound like something conducive to peace at all. So, to say Germany was the bad apple isn’t exactly fair. Point I’m trying to make is that we were given minds specifically so that we may, as inidividuals, not as groups, think critically about our place in society. For it is for this very reason that Hitler was able to achieve what he did: he totally took advantage of a weak Germany and began to senselessly bombard neutral nations. The allies were no means neutral. The question is the following: whether you are a soldier, a paramilitary member, a policeperson, or someone with access to heavy weaponry, what is really going through your mind about killing another human being? I’m sure a person looks to God for comfort and relief, especially when the odds are against them. However, God does not instruct us to kill, but people keep using religion to justify their actions. If 9/11 was truly an Islamic attack, which I don’t want to speculate on right now, they sure did a good job of dividing people. I’m an American and I find that if the latter were true, I really have to say that I can’t feel the same way about Muslims anymore. The reason is that people from all walks of life were killed and that my friends cannot have anything to do with religion at all. Religion is means of learning about oneself and about others. It is a means of comforting oneself. Fr. Joseph, you know all too well that it continually is being used as a means to an end and nothing more. I can solemnly assure you that 9-11 was in ‘Inside Job’. By secular vocation, I’ve been an aircraft mechanic for 35 years on military and commericial aircraft. Contemporary commericial airliners are equipped with ‘SATCOM’, satellite communications whereby flight commands and flight directions-navigation are transmitted to the on-board flight management and flight control computers. In essense, if one has the aircraft Individual Identifier Codes assigned to each aircraft by its manufacuturer, the DOD and the FAA, and if one has a ‘Ground Satellite Station’ available to you, you can ‘Cellphone Call Up’ ANY SATCOM equipped aircraft, transmit the Individual Identifier Code TO that particular aircraft - and VIOLA! - the on-board Satellite Data Unit downloads and passes onto the on-board Flight Management and Control Computers the ‘New Flight Instructions’. A Ground Satellite Controller WITH the Individual Identifier Code and Password provided by the FAA and DOD for any SATCOM equipped commercial aircraft and effectly DISENGAGE the ‘fly-by-wire’ inputs by the Pilot or Co-pilot Yokes so that the on-board Flight Management and Control computers have 100% control of the aircraft. Those two aircraft flown INTO the NYC World Trade Towers on 9-11-2001 were, in actual essense, nothing more that a child’s RADIO CONTROLLED AIRCRAFT - simply responding to the COMMANDS of those in control via the Ground Satellite Station. Premeditated MURDER occurs at all sorts of levels in and among the members of Human Society. One can get himself/herself a Colt 45 and plan to go out to blow the brains out of somebody or anybody. All of the FAA A.T.C. controllers wind up seeing ‘AA’ or ‘UA’ flight thus and such on their radar screens due to the secondary radar search/inquiry FAA radars obtain from the drone’s assigned daily Transponder Codes for the REAL AA or UA flights. Pretty simple - and I TRIED to get the major Pilots’ Unions as well as the Aircraft Mechanic’s Unions here in the USA to simply ‘SHUT DOWN ALL’ airline flights in and across the USA in order TO HALT these bogus ‘Wars on Terrorism’ Bush, Cheney, the CIA, the DOD, the Zionist Wall Street-Banking types and dual US-Isreali citizens have thrown us all into. I can’t even get ORTHODOX Christians here on RZN to understand that a public and solemn Collegial Consecration of Russia to the Immaculately Loving Heart of Christ Jesus’ Own Mother will result in WORLD PEACE! All of this is in the ‘PUBLIC DOMAIN’. I did see all these different conspiracy theories backed up by facts - lose change, etc. But you know Fr. Joseph, the thing is that when you have these scams taking place and the shear magnitude of these scams is alarming, then it begs a person to wonder who is benefiting? Well, if it is now generally accepted, at least unofficially, that 9/11 was an inside job, who else benefits besides a few elite in the government and elsewhere? It’s just not possible for only American elitist interests to be satisfied. Who benefited by the consequences of 9/11? No other nation benefited more than Israel because Iraq and Afghanistan, predominately Muslim, were attacked. Now, I’m not going to get into too many specifics, but everyone knows that both Saddam and the Taliban have absolutely no right to govern and replacing them was absolutely necessary. However, it is a known fact that Mossad agents are operating in Iraq and I can bet that they are in Afghanistan too. So you see Fr. Jospeh, even if 9/11 was an inside job, there are a whole lot of people who benefited and you know all too well that non-Americans benefited from it too. Christians must hire homos - says Jews. Looks like you are right on the money here. But I must say that these back and forth opinions and such being shared are actually rather constructive. Fr. Joseph and the rest of you have a lot of insight, not to mention brother Nathanael too. I need to reiterate though, that slamming Israel and the Jews maybe a bit one-sided. Yes, people are beginning to see that the latter two have a lot of problems and that’s nothing new. I think we need to be more critical of Islam and no one is really doing this. Yes, Islam espouses a lot of excellent ideas, but in practice, there isn’t really such a thing as a model Muslim. They simply don’t exist. If any of you are familiar with Islam, then you know for a fact that some Muslims don’t listen to music, they don’t watch t.v., they don’t curse, they don’t do a whole lot of really normal activities (not that I’m saying cursing is the way to go though). Do you think God actually gave us a laundry list of do’s and dont’s? I honestly think that’s too irrational. Spelling logic and spirituality out for us is not why we have brains to reason for ourselves. Anyway, you see what I’m getting at? If anyone knows Bill Maher, which many of you probably know, many say he is a professed atheist. The questions he asks people are without a doubt extremely important, even when he questions the Christian way of life. You see, contrary to what you all may think of my views, being tough on religion is the only way to get people to really think critically about what actually makes sense in their own life and why it makes sense. Fr. Joseph, again, I’m not reiterating this point as a response to your opinion that I’m not assertive enough on religion. If you weren’t aware of this fact, there are individuals associated, aligned and affiliated with each other in our contemporary World who owe NO ALLEGIANCE whatsoever to any nation, state or, for that matter, to any particular race of people to include their own Human Race as well! These mutually associating, aligned and affiliated groups of individuals who owe NO ALLEGIANCE to anything or anyone but THEMSELVES are generically given the designation of ‘Globalists’ or ‘Transnationalists’. Much as many huge, international commerical ‘Corporations’ simply wind up EXPLOITING the natural resources and the indiginous peoples of ANY particular nation-state, so too do these Globalists and Transnationalists with their phalanx of lawyers, bribed and paid-off domestic politicians-leaders-rulers of their targeted political nation-state and their possession of or access to unlimited ‘Fiat Currency Capital’ via their fellow cronies privately own Central Banks look up this planet earth’s natural resources AS WELL AS all of its human beings as ’slave labor’ to be used and/or exploited to achieve and accomplish their OWN personal ‘Corporate’ aims and goals. Their ‘New World Order - One World Government’ is THEIR personalized Transnationalist-Globalist Corporate ‘Mission Goal’ and ‘Mission Statement’. The Answer is ‘SATAN’ who opposes GOD’s Desires and Holy Will for the SIX BILLION human souls He saved and redeemed by His Death on His Cross. If you need for me to elaborate on this any further, I can do that if you wish.